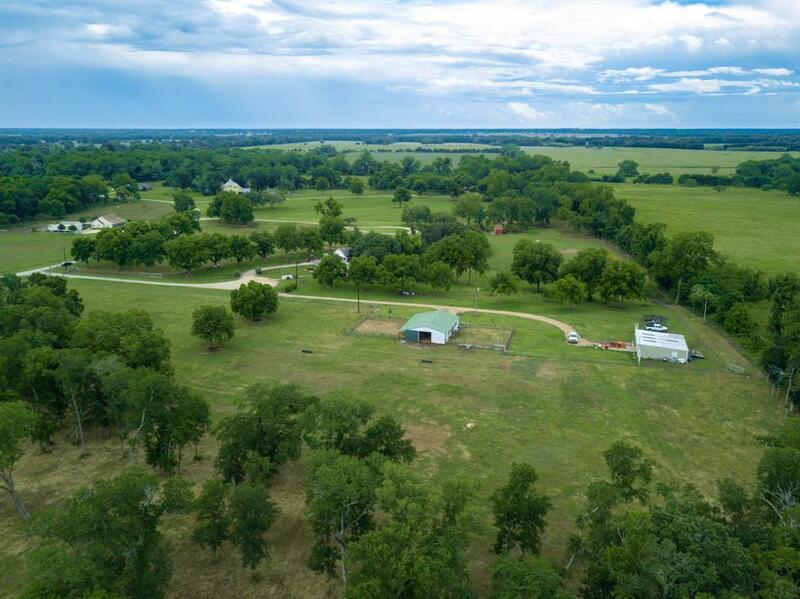 Spectacular 19.7 acre ranch with beautiful trees and green pastures for your horses and cattle! 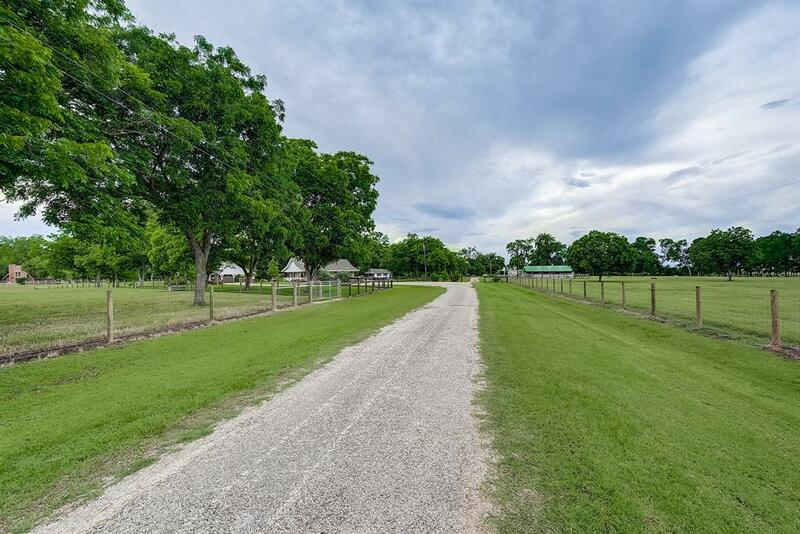 Country living at its finest,minutes from Sugar Land. Perimeter fenced and cross fenced. Stables established with 6 stalls and a 12x36 foaling stall. Additional large concrete floor barn for equipment storage with office and full bath. 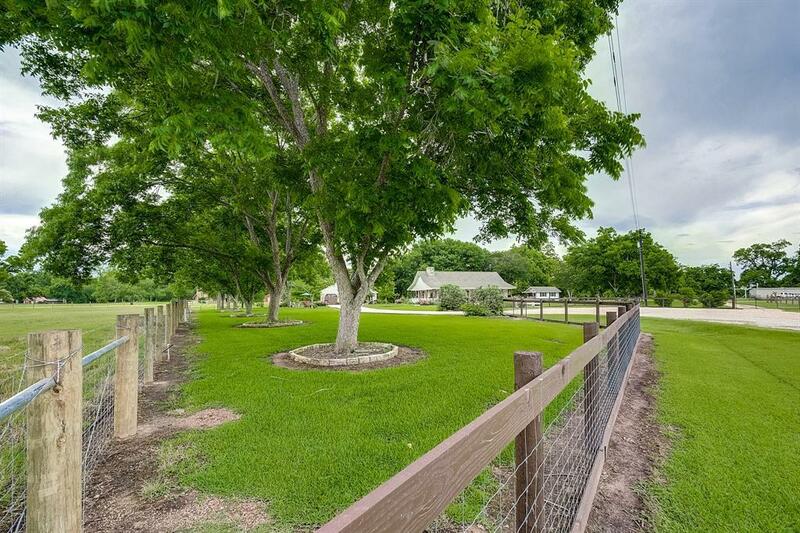 Electronic gate opens to a long picturesque drive which leads to the impeccably maintained country home. Remodeled and updated in 2014 in Hill Country inspired style. Fabulous open floor plan. Impressive great room with soaring ceiling,massive stone floor to ceiling fireplace opens to dining area and kitchen. Large covered wrap around porch, large back patio,additional covered porch off garage. Property features an incredible amount of outdoor entertaining areas with spectacular views of the beautiful acreage. Home did not flood during Harvey.Easy access to Highway 59. 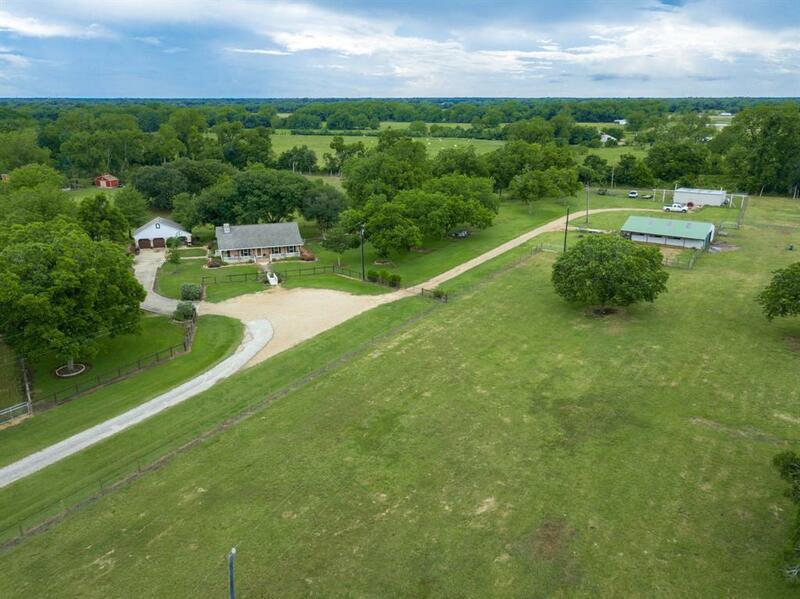 Country living minutes from big city amenities.